Stylish and convenient unfurnished ground floor flat - ideal for commuting into the city with main bus routes within a couple of minutes walk. This flat has a spacious feel with generous rooms, large windows and is well presented throughout with neutral decor and good storage. Upon entry there is a small hallway with cupboards, large bathroom with shower over bath, double bedroom and generous living room which in turn leads to the kitchen. The modern fitted kitchen has an excellent selection of wall and floor mounted units, integrated electric hob and oven complemented by granite effect work surfaces, ceramic tile splash back and stone tile flooring.The property has a washing machine and fridge freezer provided. The property further benefits from double glazing, secure entry and residents parking. Electric heating. 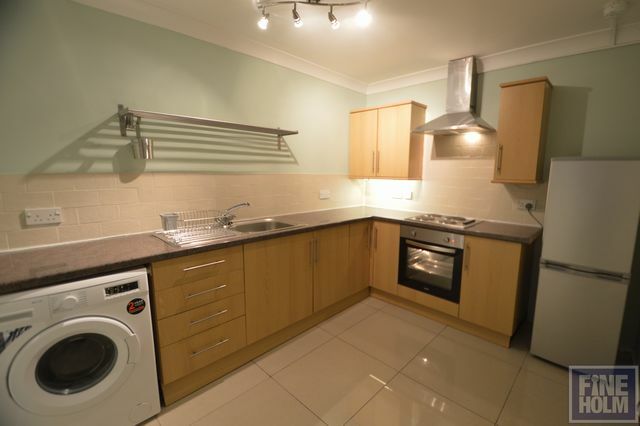 Cadder is conveniently placed for access to a host of local amenities including schooling at both primary and secondary levels, shops and public transport services. In addition to this there are excellent road and rail links close by giving easy access to Glasgow City Centre and the Central Belt motorway network system. Pets-No pets preferred but pets will be considered on application- extra conditions apply.